Hey Everyone! This week's minimalism project isn't great. I had to reorganize my daughter's nursery (for the fourth time!). It just wasn't working for me anymore. My desk had moved into the nursery so we had room for our Christmas tree over the holiday season. I moved it back this weekend, while reorganizing the nursery. The desk needed some work so I bit the bullet and did it. 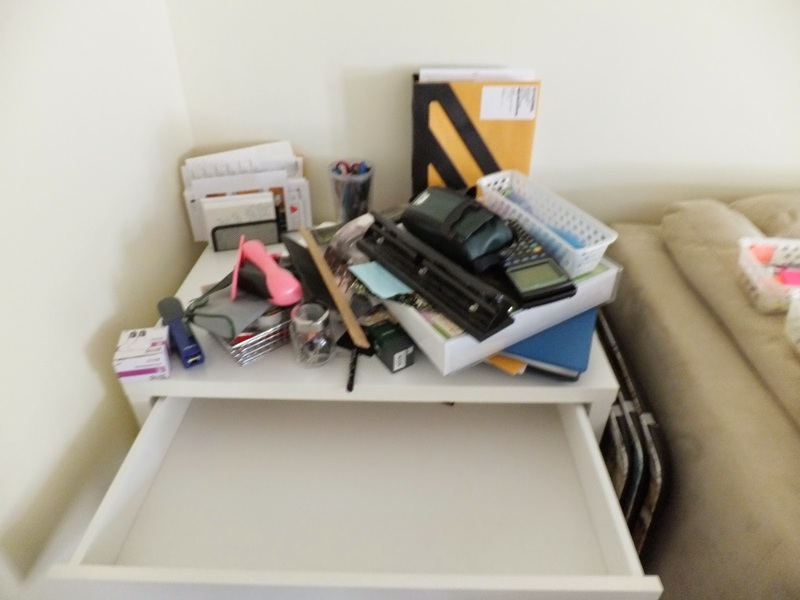 My before pictures look especially messy (which isn't usually the case), but I had just moved stuff from the nursery and stacked it on the desk. I was able to pare down my desk considerably, which is nice. 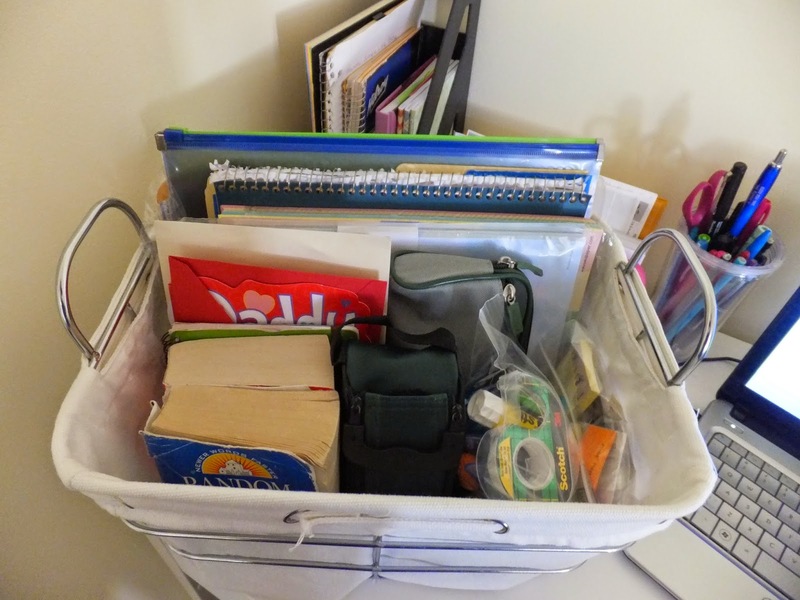 I managed to fit all of my extra supplies into a little basket that I stash under my desk. 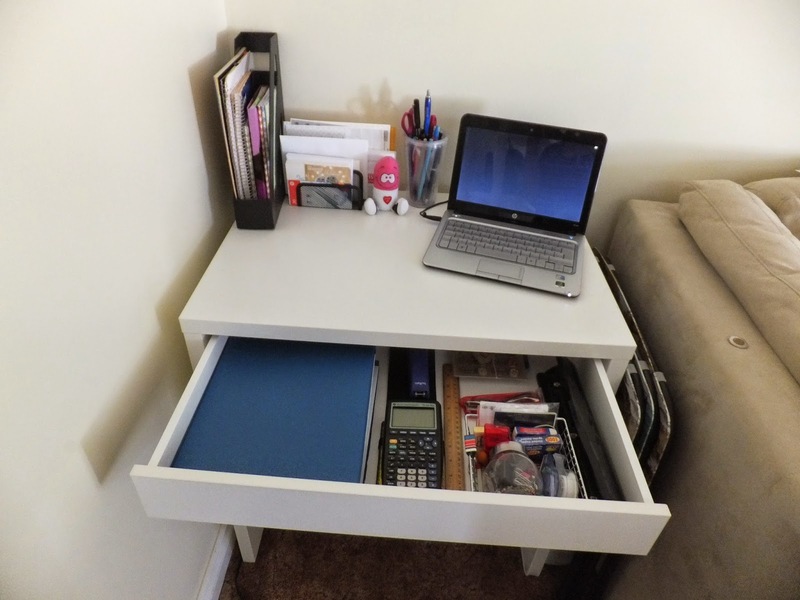 I feel more organized, which makes me want to sit down and do some work at my desk! I am very happy with the results. 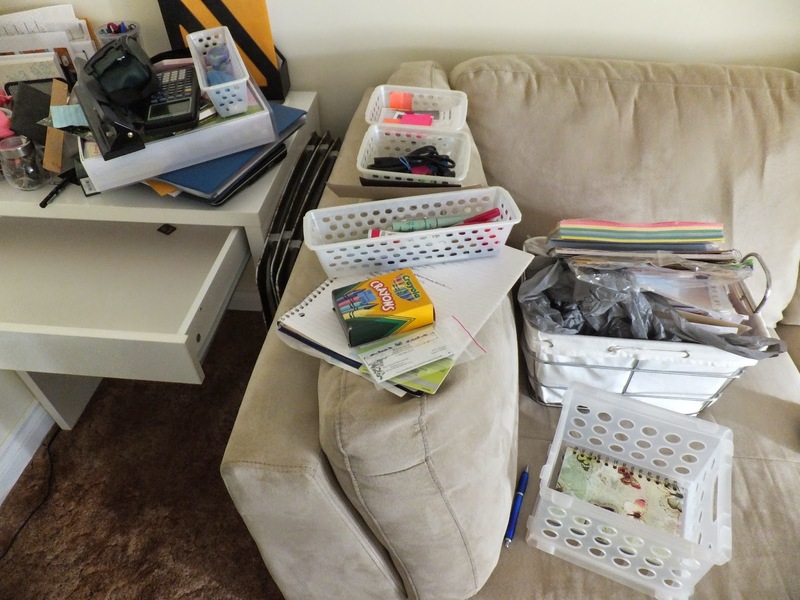 I donated a few items, including a tape dispenser and some storage baskets. I recycled some paper and shredded some documents. I feel better. I know that this project was more an organization project than a minimalism project, but I am giving myself a pass because I did donate some items and I did pare down.